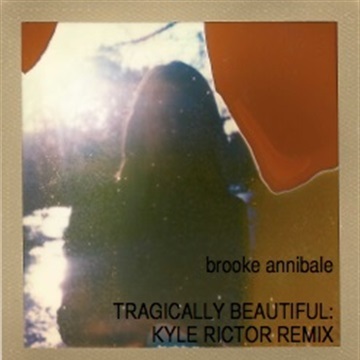 Singer-songwriter/guitarist Brooke Annibale sheds a bit of her indie-acoustic skin on her newest record Hold to The Light--a pop-progressive album that offers a fusion of textured electronic and traditional (guitar, strings, keys) instrumentation with songs bearing Brooke’s keen, soulful lyricism. The songs on Hold to The Light develop like Polaroid photos: each reveals a memory suspended between the perspective of the past with all its wistfulness, pain, and joy, and the revelations of the present. Produced by Sam Kassirer (Josh Ritter, Lake Street Dive) at his Great North Sound Society in Maine, Hold to The Light is Brooke’s third full-length record following 2015’s The Simple Fear. The record features the contributions of seasoned artists Sam Kassirer on Keys; Zachariah Hickman (Josh Ritter, Ray Lamontagne) on Bass; Josh Kaufman (The National, Josh Ritter) on accompanying guitars; Sean Trischka on Drums; and Matt Douglas (Sylvan Esso, Mountain Goats) on Woodwinds. Hold marks several major departures for Brooke in terms of both songwriting and production. “For this record, I started trying to envision what the production might feel like for some of the songs during the writing process. I challenged myself to come up with other parts besides guitar--drum beats, keyboard ideas--in order to dig up the foundation for the vibe of the song. The songs really evolved in the studio as we experimented with different effects and ideas.”The result highlights playful, retro-synth effects on songs like “Distraction,” and incorporates soaring electronics on the bright, danceable “Glow.” Brooke’s thoughtful, layered songwriting anchors the production to explore a range of narratives working through themes of seeking truths, letting go, and reconciling the past with the present. The title track, “Hold to The Light,” unfolds as an incantation about summoning the courage to look closely at the buried, the broken, the pieces we keep out of sight. Similarly, the mid-tempo “Underneath” is a kind of surrender to both the longing and the fear for something more just below the surface of the everyday. The mid-tempo “Point of View,” is a rueful rumination about the gracelessness of confrontation, the push-pull to see while being seen, to hear while being heard. Both lyrically and musically, Hold opens up spaces for the listener to inhabit and make their own. 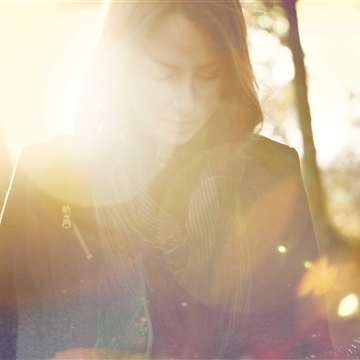 Hold to The Light is an exciting evolution in Brooke’s career as a musician. Her creative roots run deep with family connected to music--her maternal grandfather founded a music store, selling instruments and sound equipment, which continues to operate today. Brooke began playing guitar at 14 and since then her passion for making and performing music has taken her all over the country. She released her first full-length record, Silence Worth Breaking in 2011, produced at The Smoakstack, followed by 2013’s EP Words in Your Eyes and 2015’s The Simple Fear. Her songs have appeared in film and on major network TV shows. 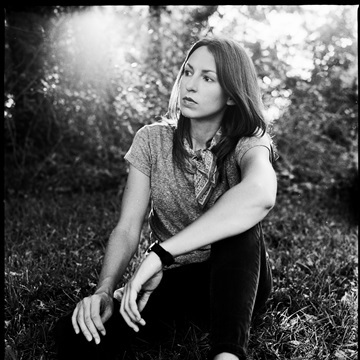 On the road, Brooke has recently been on tour opening for Josh Ritter, Margaret Glaspy, Great Lake Swimmers, Jesca Hoop, Iron & Wine, Rufus Wainwright, Aoife O’Donovan, The Handsome Family and others. She has performed at festivals including Three Rivers Arts Festival, Thrival Festival, Falcon Ridge, and Philly Folk Festival, and her songs have been featured in multiple TV shows including Grey's Anatomy, Pretty Little Liars, Hart of Dixie, Vampire Diaries and more. When Brooke isn’t on the road, she loves spending time with family and friends in her hometown, Pittsburgh.